These iced chocolate cream and fresh raspberry brownies are the perfect guilt free treat. They are simple to make and are raw, vegan, gluten and sugar free. Blend all ingredients together in a food processor until well combined. Place mixture in a lined baking tray and press down firmly. Freeze for 1 hour. Remove from freezer and cut in to squares. Add all ingredients to a food processor and blend until very smooth and creamy. Ice the base with the chocolate cream, top with fresh raspberries and serve. Enjoy! Am drooling over this pic, looking so, chocolate cream gets me every time. They taste so good engelsfrance! I hope you had as much fun as I had being nominated for this award. 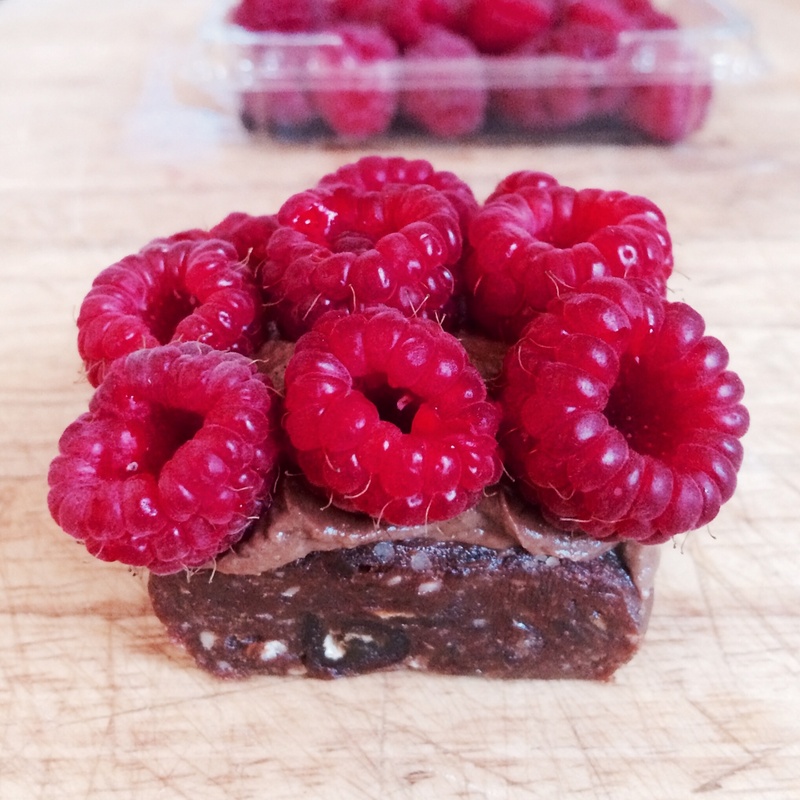 Pingback: Raw Chocolate Raspberry “Brownies” | What? No Milk? !